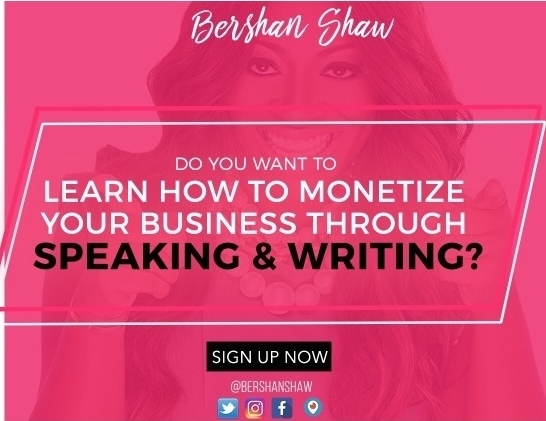 Bershan - Relationship & Business Expert, Warrior Coach and International motivational speaker, helping you how to love yourself more. Transform your mind requires tapping into your inner warrior. ARE YOU READY TO CHANGE? CLICK HERE! Get your FREE Copy of WARRIOR SPEAKS today! Hello, and welcome to my URAWARRIOR treasure tips. These daily action steps, will help you find your inner warrior, and allow you to, step into your greatness. We often, see self-help books and workbooks designed to help us seek, think and reflect, but we rarely see the action steps and challenges we need to take to help us move out of a rut when we are stuck. Sometimes, we get off our path and what we need most are action steps to help us get back on track. Each day is a gift so look at it and enjoy what it has to offer. Let this book challenge you and encourage you to ask yourself the hard questions.